December 17th is National Maple Syrup Day! Maple syrup comes from the sap of the maple tree. The maple tree is tapped by boring a hole into its trunk and collecting the running sap. 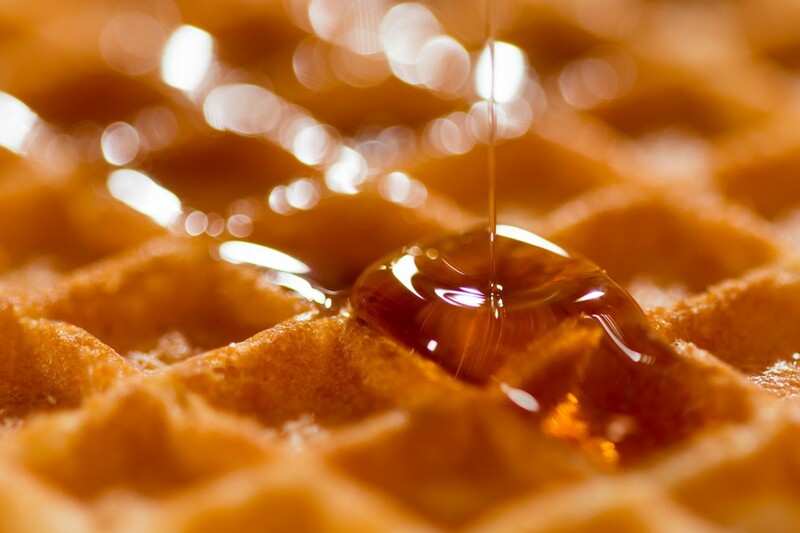 Canada, the largest supplier of maple syrup, produces over 5 million gallons of it each year! Native Americans were the first to harvest and boil the sap of the maple tree into a thick syrup—a process that was documented and adopted by early settlers in the 1600s. Tapping a maple tree does no permanent damage to the tree and only 10% of the sap that is produced in a year is actually collected. Unbelievably, it takes approximately 30-50 gallons of sap to make one gallon of maple syrup!! Whether you like your maple syrup as a topping on pancakes, waffles, or french toast, enjoy some today in honor of National Maple Syrup Day!